The excitement of finding a new home is often diminished by the stresses of trying to sell your current home in a timely manner. The trained and motivated professionals from The Amy Stockberger Team are here to help you sell your house with a proven home evaluation process designed to increase profits and decrease turnaround. Our guaranteed sales program is unique among realtors in Sioux Falls. We’re so confident in our ability to sell your home that if we don’t reach our goal in 89 days, we’ll buy it so you can move on to your new home with zero stress. The Amy Stockberger Team consistently sells homes faster than competitors and delivers greater profits for sellers. 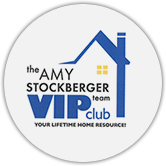 You deserve outstanding results when selling your home with a realtor, and The Amy Stockberger Team is committed to exceeding your expectations, starting with a FREE home evaluation. 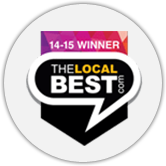 Please click the button below to receive a FREE, no obligation market analysis on your home. * Please call to see if your home qualifies for our buy back program.